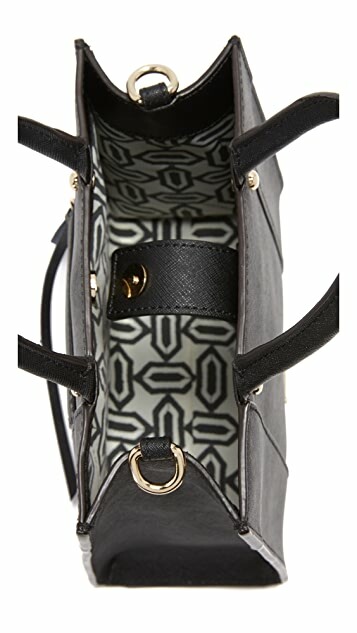 A scaled-down version of Rebecca Minkoff's signature MAB tote. 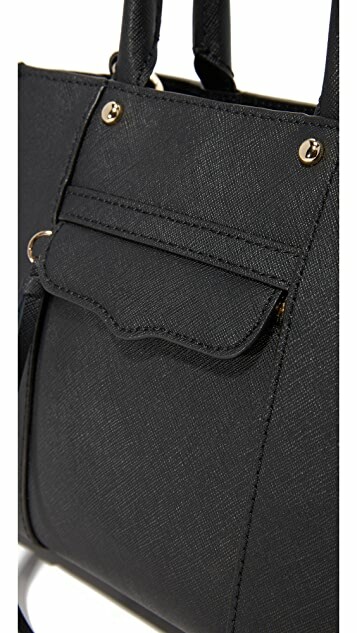 A tassel pull closes the zip front pocket, and a magnetic snap secures the top. Lined, one-pocket interior. Gold-tone hardware. Rolled handles and detachable shoulder strap. It is very small. Quality is good. Great Product and packed/delivered flawlessly. Keep up the good work and thanks! Very small size, very low capacity (wallet + mobile phone+ tissue+ lipstick+ mirror--- full) but it is totally fine for me! I love my first RM bag!! I love how cute this bag is, channeling a Celine-esque vibe while being so affordable. 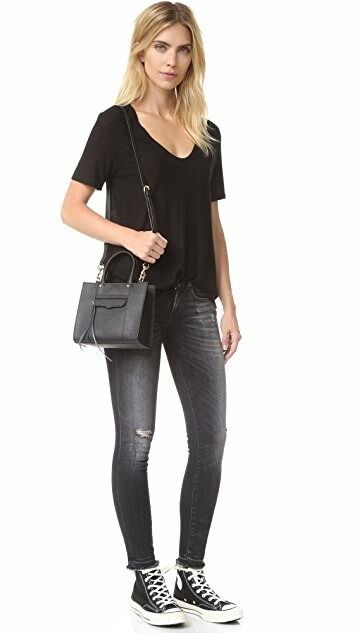 The saffiano leather feels sturdy and looks durable, and the bag also comes with extra leather strips in case the one on the front zipper gets worn or falls off. The only thing i wish they had added to the bag are feet so the base of the bag would be protected when i lay it on the ground. It is a little tiny but that's what makes it so cute, albeit a little less functional. Shipping took a week this time, which was a little long, but still acceptable. This bag is small and REALLY cute. That kind of 'cute' that will be appropriate for you, your daugther, mother and grandmother! 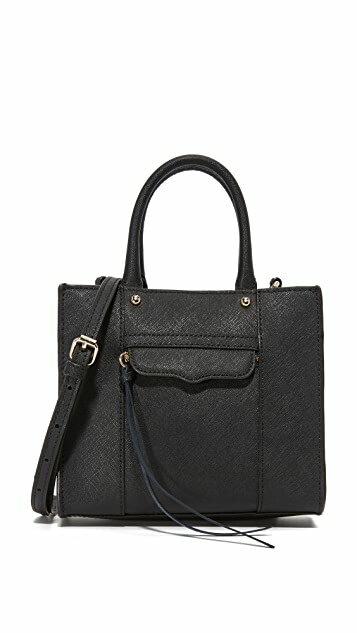 If you ever get tired of this bag - pass it to whoever :) Thnaks Shopbop, nice price, super fast shipping. I've wanted to get a small carry bag for a long time and so when this was on sale, I bought it without hesitation. No regrets. 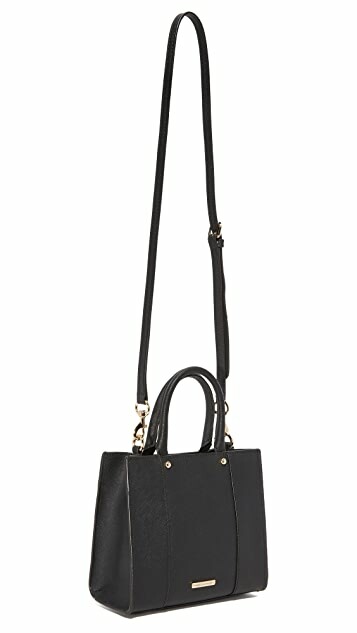 This bag can be dressed up with a dress and killer heels or dressed down with sneakers and jeans and a cap. Contemplating getting the next size up in a different colour. Such a quality looking bag minus the hefty price tag.